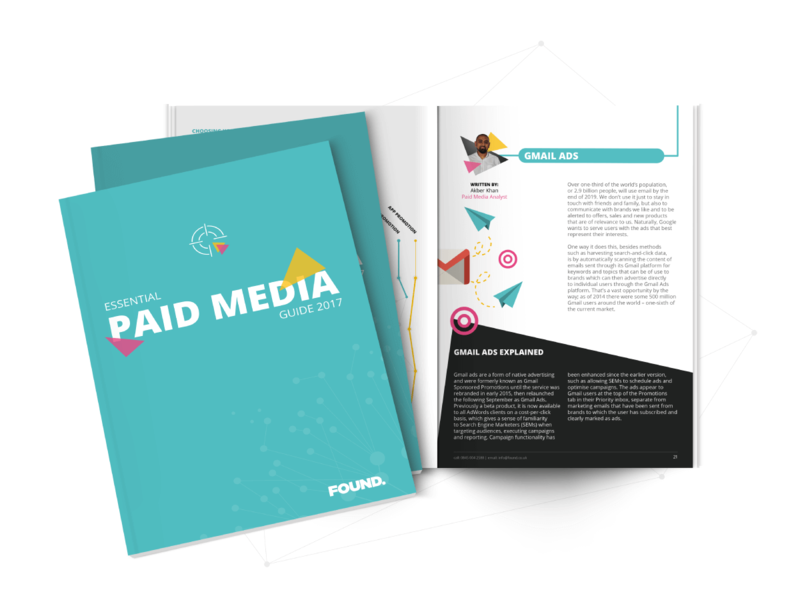 Introducing Found’s Essential Paid Media Guide 2017. In this guide, we cover the key Paid Media channels and explain what they are, how and when to use them, and the part that they can play in your digital marketing campaigns. It provides practical guidance and insights into individual channels and how each channel can work together to deliver a truly effective marketing strategy for an increasingly integrated world. "To be truly effective, you cannot just manage one channel in isolation without at least understanding what part the other channels are playing in the path to purchase."